First there was the double rainbow and now double tropical cyclones! First there was the famed Double Rainbow, and now a set of double tropical cyclones are in line to hit the Hawaiian islands this week!! According to an article from The Weather Channel a pair of tropical cyclones like this is rare, but not unheard of. A similar event happened back in 1982 with tropical depression Daniel and tropical storm Gilma. 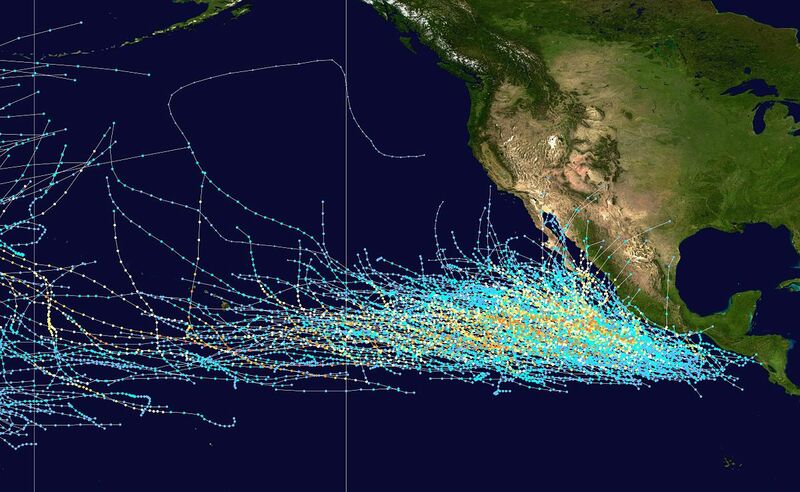 “Pacific hurricane tracks 1980-2005“. Licensed under Public domain via Wikimedia Commons.